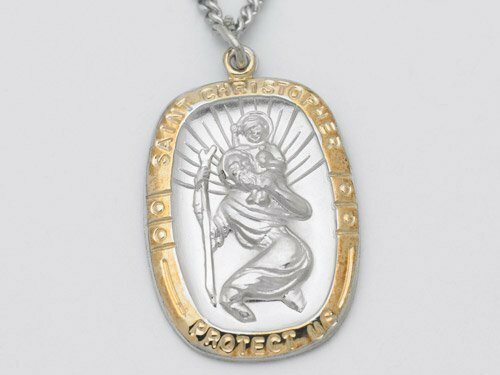 St.Christopher is known for bringing protection and safe travels to all who seek him out. Wearing this metal is a reminder that St. Christopher stands with you each day on every road you travel. This Sterling Silver Pendant comes displayed in a beautiful gift box along with a rhodium plated chain. Also, with your pendant you will receive an official everlasting love collection letter signed by psychic medium Matt Fraser.